Appearing at the height of his fame, Dracula star David Manners - dubbed ‘the handsomest man in Hollywood’ - made his British film début in this polished Ruritanian romance, playing opposite Norwegian silent-era star Greta Nissen and German émigré Camilla Horn. 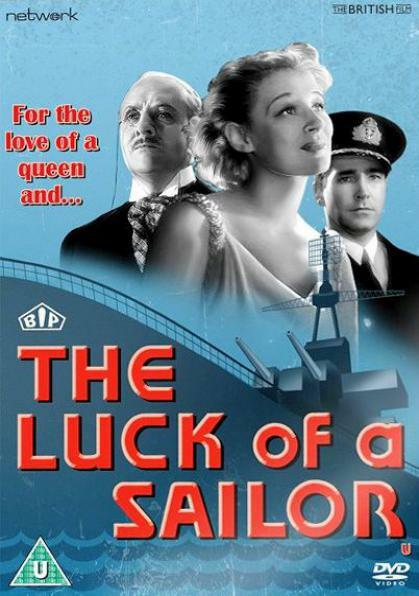 Based on Horton Giddy’s play Contraband, The Luck of a Sailor is featured here in a brand-new transfer from the original film elements, in its original theatrical aspect ratio. On an undertaking of great importance, Captain Colin’s battleship is taking the exiled King Carl back to his country in an attempt to help him reclaim his throne. The mood is lightened by the king’s luminous new bride, but a mild flirtation between the captain and the queen soon turns to a love that is seemingly impossible! Featuring: The Luck of a Sailor (1934).